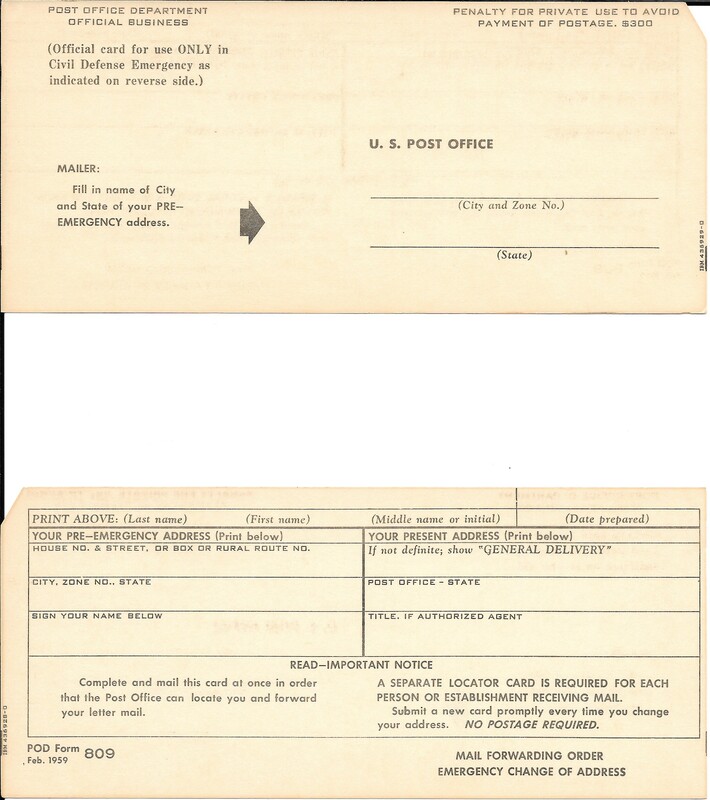 These were to change address after being relocated due to a nuclear attack. They are dated February 1959. Front and back are shown.